Esteemed healthcare leader and innovator joins FareWell’s board of directors. Company advances its lifestyle medicine-first approach to reversing chronic disease and eliminating excess medications. What we need now is a much bolder approach; one focused on arresting and reversing disease by addressing the lifestyle choices that are at the root cause. That’s FareWell’s vision, and that’s why I’m excited to join the board. 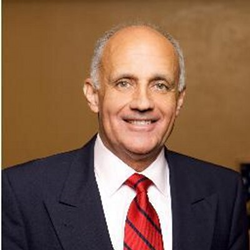 Farewell LLC, a company dedicated to reversing chronic disease through innovative digital therapies, announces today the appointment of Dr. Richard Carmona, 17th Surgeon General of the United States, to its Board of Directors. Dr. Carmona will support the company’s mission with his years of experience as a healthcare leader and commitment to using lifestyle as medicine to reverse disease and cost trends. “Dr. Carmona has long been a champion of a lifestyle medicine-first approach to healthcare, which is essential to our ability to reverse chronic disease trends and their associated costs, both here in the U.S. and around the world,” said FareWell CEO, Kevin Appelbaum. Dr. Carmona joins company co-founders David Perry, Chairman, and Kevin Appelbaum, Chief Executive Officer, on FareWell’s Board of Directors. “Dr. Carmona has dedicated a lifetime to improving public health and challenging conventional wisdom in order to bring innovative healthcare solutions to the market. We are honored to have him join FareWell’s Board of Directors,” said David Perry. FareWell is dedicated to reversing the epidemic of chronic disease through innovative applications of lifestyle as medicine, ultimately replacing drugs as first line therapies. The company has developed a digital therapeutics platform for cardiometabolic disease, and is now focused on implementation within sponsored healthcare populations, and further validating its digital therapies through randomized controlled trials. The company is headquartered in San Francisco, CA.